Since I’ve been focusing on work efficiency in past Wireboard articles, I’d like to look closer at decision-making in organizational/business contexts. Because regardless of the actual importance or outcome of a decision, how we handle the decision-making process itself can have positive or adverse effects on our efficiency, our time, and even our stress levels, all of which affects our work. The key feature of how we tend to approach decision-making is through a set of unconscious (usually) biases. And why is this? Have you ever noticed how draining some decisions can be to make? Or how sometimes we make snap decisions that we regret later? Last weekend my wife and I were invited to a holiday party by some close friends. I knew it was going to be a big party and so, over the next two days, I spent no less than 15 minutes trying to decide what I was going to wear. Was it going to be a suit, jacket and tie, perhaps a laugh-inducing holiday sweater? Now, while some of our fashion-conscious readers might be wondering what I ended up going with (I’ll tell you at the end of the article), the point is that I was overthinking the decision. In the end, it was a poor use of my time and not a good decision. And while this is a light-hearted example, protracted decision-making costs us time and energy that we could be using for other things. We even have a term for this: decision paralysis. And as I wrote about recently, decision-making is one area where procrastination can crop up. And the bigger the decision, the more-likely it is to invite procrastination. So, let’s take a closer look at what we’re all doing in the midst of decision-making (cognitive biases), and what we can do about it. The lizard brain makes decisions for us based on habits: What else is a habit but something we made a decision about in past that we continue to act on without re-deciding? The lizard brain also makes decisions very quickly based on feelings, while the higher thinking part of our brains uses logic and takes longer to make decisions. If not life-threatening are usually better. We choose what’s familiar to us. My colleague Steve Longan wrote an article on this last year using the metaphor of eating familiar vs. unfamiliar-looking berries. Choosing the familiar tends to ensure survival. So we go for the familiar in order to avoid having to invest as much time or energy. Confirmation Bias. Defined: Favoring information that confirms your previously existing beliefs. Example: Our most-recent election proved this for many. We tend to scan our news feeds and select information that fits with what we’ve already decided in the past. We do the same with decisions: we decide which information to consider in making a decision based on whether it agrees with existing beliefs. Anchoring Bias. Defined: Focusing heavily on one aspect of the decision that may or may not be the main factor. Example:Buying a used car based on odometer reading, and not engine, car safety, make reliability, or other features. Self-confidence Bias. Defined: Excessive confidence in one’s own answers to questions. 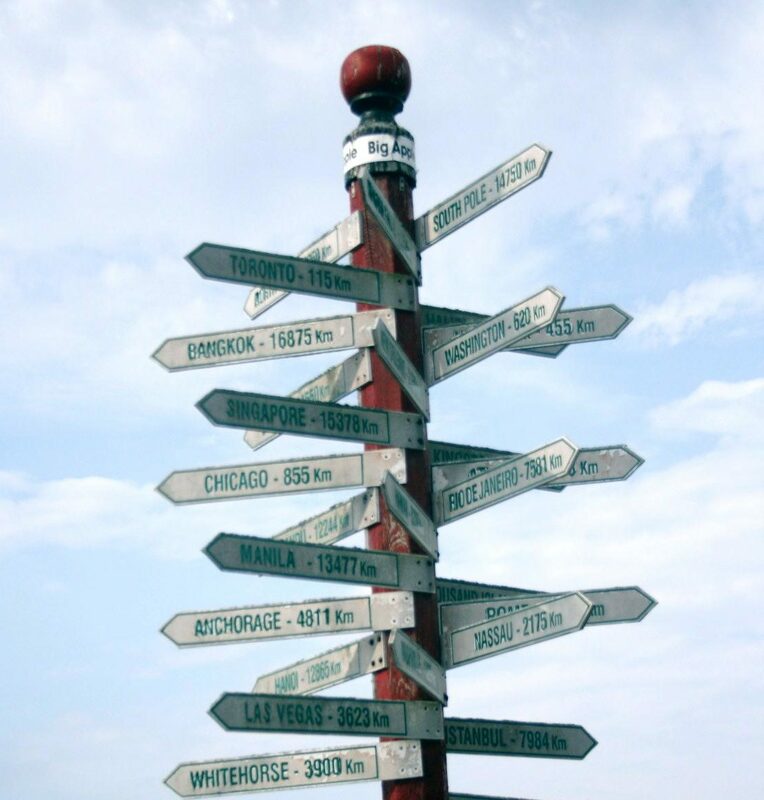 Example: Being sure you know where you are going when you are lost (a.k.a. being right in the lizard brain). All these biases put us in a tough spot: they help us make decisions faster and easier, but not necessarily better. And if we try to discard the biases, decision-making becomes more laborious and time-consuming. So, what are we to do? How can we make good decisions without decision-paralysis setting in? Pay attention to your internal environment: We’ve written in the past about the power of mindfulness, and that dynamic certainly applies to decision-making. If you’re struggling with a decision, take a moment to breathe and notice your own sensations. Another helpful tool for decision-making here is “HALT.” If you are Hungry, Angry, Lonely or Tired, then don’t make critical decisions. If you can, make decisions when you are at your best during the day (e.g, not at 12:30AM). Relational Impact: Consider who is impacted by your decision (or lack of decision). Sometimes, looking at how others will be impacted by a given decision will help to clarify the decision for you. This is also another way to practice mindfulness, by the way. Rational Analysis: Recall that many of the biases I listed work very quickly and rely on intuition. While intuition has a place, in order to make better decisions, see if there are any actual observations you can make, or data for this decision. You don’t have to write a thesis or anything, just give your rational mind some data to work with and you’ll be amazed how that can quickly reframe and sharpen the decision-making for you. From there, if you still can’t make a decision, you can drill deeper for more data or look for any other systemic information about your decision. Outsider Perspective: Sometimes, decisions are difficult to make because we don’t have enough data and/or experience. Sometimes, decisions are difficult because we have conflicting values and priorities for the outcomes of a decision. This is precisely where it’s valuable to ask a credible source for input. They might have the data or experience you lack. And because no two people are exactly alike, they may see the value and priority conflicts in a different light. Even (and sometimes especially) if this outside perspective challenges what you think you see, it’s still clarifying and helpful for decision-making. Reflect on the past: Look back on your decision-making history, and ask if you’ve ever been in a situation like this before. How was that situation similar to the current one? How was it different? What were the outcomes? How did you make that decision in the past and what influenced your choice? Think about whether you’ve rushed to judgment in the past. Once we have a better handle on our past, it can help give us perspective for our present decision-making processes. Although these practices might take some time to practice and master initially, they will ultimately save you time and energy. I’ll close by saying again that decisions are coming at us constantly as long as we’re alive. And so we’ll have many, many new opportunities to develop our ability to recognize and manage emotions and biases in our decision-making. And many more opportunities to make decisions that push us towards authentic growth. And, as promised for those of you who’ve read this far, I’ll tell you how the “holiday party clothing conundrum” resolved. I ended up wearing a Brooks Brothers suit and tie. Everyone else was dressed casual. A few friends asked if I had just come from a job interview or a funeral. Decision-making matters, people.